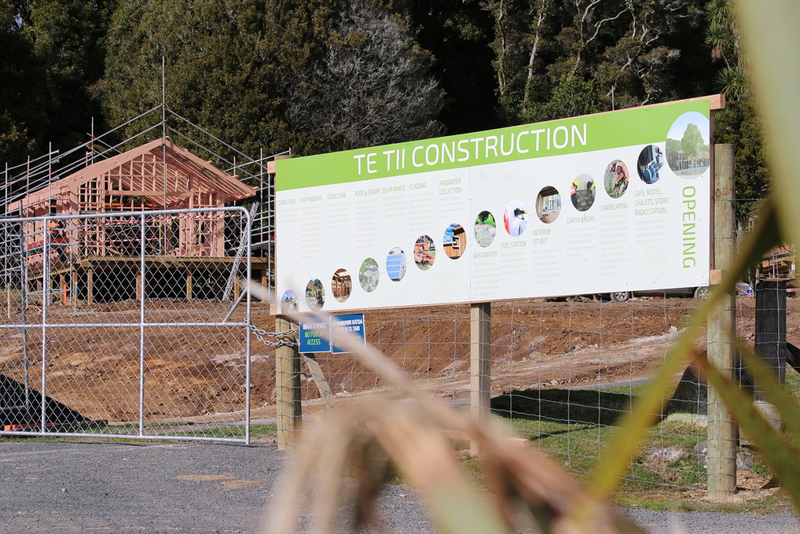 Blink and you’ll miss the progress occurring at Te Tii. The team is ripping through the mahi and the appearance of site is changing daily. The ‘bones’ of the structure or timber frame is going up. This is what gives the buildings their shape and stability. There’s a lot of work involved in getting six buildings framed at the same time so the workers have split into teams. This photo shows how the new buildings sit within the landscape. 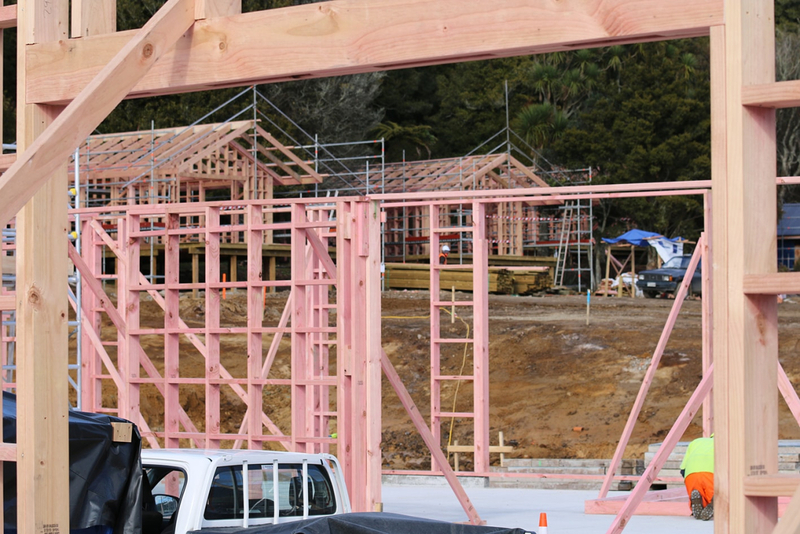 The only building left to frame is the laundry and toilet block, but the fuel tank needs to go into the ground before that work can start. All of the walls in the Tribal Office building are up, and the Store and Café building follows close behind. Looking from the Tribal Office building, through the Store and Café to the chalets in the distance, you can start to see the flow of the place. Nestled into the bush, the chalet walls and roofs are in place. The area in front of the deck will be planted to create more privacy while still allowing for light to come in and views out. 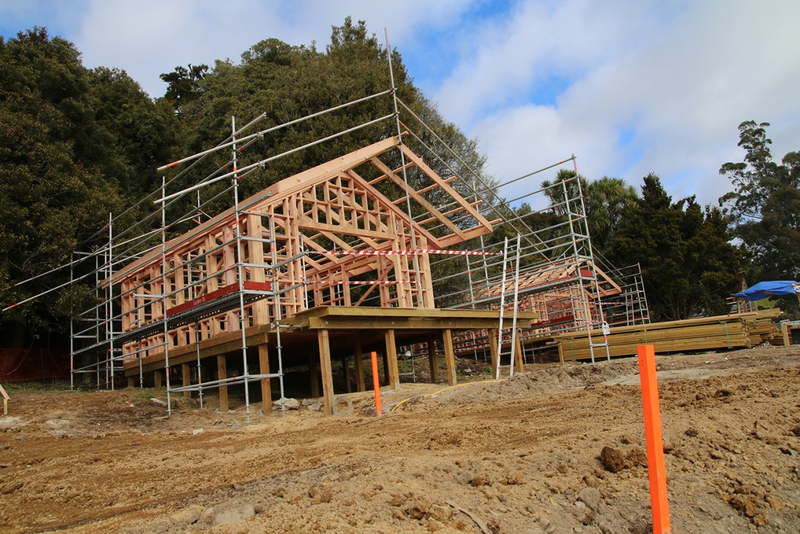 The next stage is to get the framing covered by a roof and wrapped up in building paper to keep the timber dry and allow work to take place inside out of the rain! Simply looking fantastic to see it all taking shape. It wont be long now to see it all come to fruition.